Without a doubt, the Ragnar Relay Series knows how to brand its races. To give runners a special incentive to run both its June signature race in Utah, The Wasatch Back, and the Ragnar Relay Las Vegas, held in Nevada on Nov. 6 this year, Ragnar awards the coveted Saints & Sinners medal to those who take part in both. Ragnar's 12-year path to becoming the largest national overnight relay-race owner, however, has left some in the running community seeing the company as more sinner than saint. The organizers of three different competing races each raise questions about how Ragnar has grown, highlighting what appears to be a significant difference in philosophy between the business grads from Brigham Young University who developed the world of Ragnar, and smaller mom & pop operations that have had to deal with Ragnar's dramatic success. According to Ragnar co-founder Tanner Bell, the venture-capital backed relay-race series has always sought "the best course we could find with the least amount of overlap" to other scheduled races. But according to one of Ragnar's most outspoken critics, Colorado-based Timberline Events' Paul Vanderheiden, that's where things went wrong. "A lot of race directors go out of their way not to duplicate what somebody else has done," he says. "Ragnar does not seem to have that problem. They really don't care. They're so big now, they can get away with it." In August 2011, Vanderheiden—who owns multiple races, including two in Colorado, the Wild West and Flaming Foliage—posted an article online alleging that Ragnar "steals" races from other groups. He highlighted two races where Ragnar's race was significantly similar to the routes of existing races, while organizers of a third race in Quebec report similar concerns after their 2013 encounter with Ragnar's management. "A race director cannot trademark a route, and we certainly cannot reserve exclusive use of a date," Vanderheiden wrote. "However, there is an unwritten code of ethics between race directors that you don't steal someone's course, and you don't piggyback on an established race's date with a nearby, similar event." Ragnar's Bell dismisses the controversy as "a three-year-old story," with, he adds, little to back up Vanderheiden's central accusation. Bell argues that Ragnar has only done good for the relay-race industry. Bell has often been quoted as saying, "A rising tide floats all boats." According to figures provided by Ragnar, from 2006-14, the relay-running industry grew 21 percent. This reflects 81,000 new participants in Ragnar races as well as 22,000 in non-Ragnar races. "While we do not take full credit for the industry's growth," Ragnar's marketing manager Elise Timothy, wrote in an email, "Ragnar has played an important role in the success of running relays over the years." The fear among race organizers where Ragnar has muscled into their territory is that Ragnar will draw teams away from them through aggressive marketing. The Golden Gate Relay [GGR] in California, which takes place in late April or early May, is one of the oldest overnight relays. Unlike most in the field, it is operated by a nonprofit, Organs R Us. The organizer, Dr. Jeff Shapiro, says the purpose of the GGR in its first 15 years was to raise awareness of organ donation. It relied on local newspapers in 36 cities that runners raced through to spread the message. Shapiro says that in 2009, he negotiated with Ragnar to "combine forces in some way. They really thought the course we chose here was the most amazing they'd ever seen." Talks went on for several months, and Shapiro says Bell told him Ragnar representatives would be traveling to San Francisco within two weeks to finalize an agreement. "When I called to learn their travel plans, they never returned my calls," he said. That's not the way Bell remembers it. "I worked really hard to connect with Dr. Shapiro on multiple occasions to figure out a partnership," but "I could never really nail him down on what he wanted to do or how he wanted to partner. Ultimately, we ran out of time." As a result, Ragnar went on to launch its own Bay Area race in October 2009. Shapiro says Ragnar "took a lot of our course and reversed it." GGR starts in Napa Valley's Calistoga, goes south over the Golden Gate Bridge through San Francisco and ends in Santa Cruz at the Pacific Ocean. Ragnar's starts near the bridge and ends in Calistoga. "There's so many states and so many locations, I feel and other people feel that, instead of going to a place where [races are] already there, they could have gone to places where none exist," Shapiro says. Shapiro says GGR "has been losing teams in the last four or five years since Ragnar's presence in Northern California. We're at a crossroads trying to figure out what the next step is for this event." Referring to Bell's "rising tide" philosophy, in his race's case, "that doesn't seem to have happened." Bell denies that Ragnar had anything to do with GGR's drop in numbers. "The year we came in, their team numbers were down from their peak. It's not like we had anything to do with that." Paul Vanderheiden got into relay races in 2004, after he took part in the Oregon-based overnight relay-race, Hood to Coast. Vanderheiden felt the relay could have been better organized, so he decided to put on his own. In his first years operating the Wild West race in Colorado, he corresponded with Bell and his business partner, feeling they shared similar values as race directors. "Eventually, they grew into having a grander vision than I was interested in. I wanted to be a small business. All I was after was to earn a living," he said. In 2010, Ragnar's Bell ran the famous Colorado Relay and called Vanderheiden to apologize for not running in his relay, the Wild West. In mid-2011, Ragnar attempted to buy the Colorado Relay, only to learn that its owner was talking to gym-owning group, Lifetime Fitness. 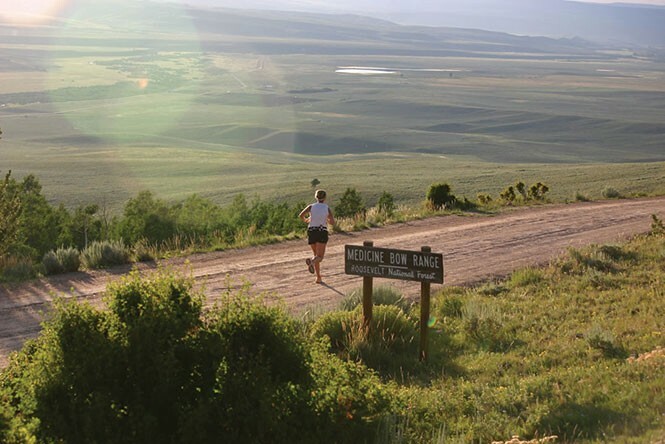 Ragnar then launched its own race in Colorado. When Vanderheiden checked out Ragnar's route, he found it followed much of the Colorado Relay's route but went in the opposite direction. Not only that, it was scheduled the same day as his own race, the Wild West. Bell admits the scheduling was a mistake. "The thing I do feel bad about is, that first year, we launched on his date," Bell says. Ragnar subsequently changed the date. Vanderheiden posted a furious blog on his company's website at TimberlineEvents.com that accusedRagnar of stealing both GGR and the Colorado Relay. "It takes a lot of time, effort, and expense to design a route for an overnight relay, and I have a hunch that Ragnar, in at least these two instances, wanted to save themselves the trouble of designing an original course." Vanderheiden forwarded City Weekly an email Bell sent to concerned runners who reached out to him, informing them that changes by both Ragnar of its route and the Colorado Relay meant "both of us have caused more overlap." He stated, "We are sorry if we have offended anyone in the process. Our intentions are to put on the best events possible in the most beautiful locations." In February 2012, a month after Lifetime Fitness bought the Colorado Relay—and shortly after Ragnar announced its route—Lifetime abruptly sold the race to Ragnar. Bell says that Vanderheiden leveled "heavy accusations that people who know me and Ragnar laugh at. It's a bummer." Vanderheiden is the first to acknowledge Ragnar's corporate success, "but I don't approve of how they've done it." For a while, a number of independent relay-race organizers discussed setting up a coalition that would pool marketing resources to challenge Ragnar, but no coalition was formed. Sébastien Wauthier read Vanderheiden's blog in June 2015, and the complaints about Ragnar sounded painfully familiar. Quebec City-based Wauthier and his business partner, Stephane Marcotte had started developing a race in and around greater Quebec in 2012, called RelaisXtreme. They wanted to associate with Ragnar and met with them in August 2013. "We showed them our project and routes," Wauthier says, and Ragnar executives were very enthusiastic. In early September, acccording to emails supplied to City Weekly by Wauthier and Ragnar, a Ragnar executive emailed Wauthier, noting they were considering partnering with Montreal-based Groupe Espaces, since along with being a media publisher, "they also produce local running events." Ragnar's marketing manager, Elise Timothy, says emails between the group and RelaisXtreme show Ragnar was "working on identifying a potential course in Quebec independent of the two individuals. As a practice, we are very honest with those who are helping/partnering with us." On Sept. 26, 2013, Marcotte ran in the Ragnar Relay Adirondacks. There he talked to a journalist from Groupe Espaces. The journalist bragged, Wauthier says, "that he was working with Ragnar, and they were putting together a race in Quebec." What particularly upset the RelaisXtreme partners was the journalist described the route they had shown Ragnar. Wauthier believes that Ragnar had found a better suited financial partner "and they just put us aside." Wauthier says he wrote to Ragnar that his partner "had met someone in the states who was talking about the same route, the same schedule. What's going on?' I never heard back." They decided to get their race out first. In September 2014, 20 teams totaling 200 people ran RelaisXtreme. Bell expresses ignorance of Wauthier's concerns. "I think they heard some preliminary discussions from [Espaces] and must have thought we were moving on without them," he said. While Ragnar did operate a race in Ontario in June 2013, "what we learned was, going across country borders is a little more expensive than we realized," so, for now, expansion into Canada is on hold. While some race-event managers view Ragnar's ever-growing nationwide presence with concern, others have chosen to accept Ragnar's embrace. In early 2014, some relay-race watchers were surprised to see that Ragnar had reached a deal with a venerable name in the industry, Massachusetts-based Reach the Beach. In an email, RTB race director Mike Dionne links Ragnar's growth to helping "the overnight running industry grow." Despite selling to a brand-heavy giant, Dionne writes, "Reach the Beach is still Reach the Beach with its local feel and community focus. We just have more support and get to introduce our beautiful course to even more relay enthusiasts." By the end of September 2015, Ragnar claimed 30 races across the United States, the most recent of which takes place in Hawaii. "I am proud of Ragnar and what Ragnar has accomplished," Bell says. "I think we've inspired hundreds of thousands of lives, since the inception of the company. I believe we are incredibly ethical." Perhaps some issues could have been handled differently, Bell says. "We are not without mistakes," he says. "Perhaps there were communications that we missed. But to categorize it as unethical, I think, is a stretch." Vanderheiden remains defiant. "You can't trademark a relay route. You can't trademark a date. But this company is stealing somebody else's work. I'd support the original, not the copy."